I love Sterling silver because, of all the precious metals, it is the brightest. Pure silver, or 999 silver is, in fact, 99.9% silver and .1% another metal. It is too soft to produce which is why there is a higher content of metal in silver jewelry, tabletop and home accessories. 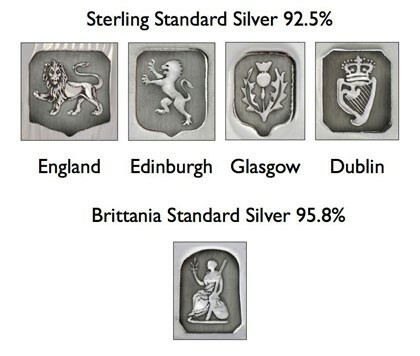 The highest standard of silver, Britannia silver, is an alloy composed of 95.8% silver which carries its own hallmark. 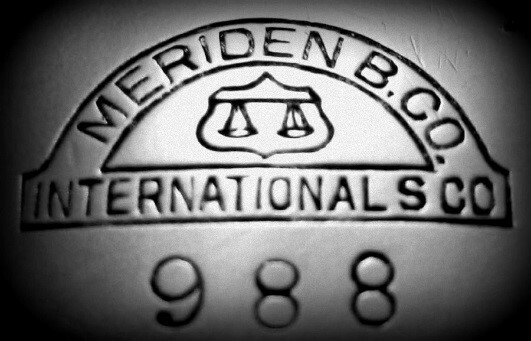 A serious collector needs to know what to look for as silver hallmarks have evolved over the centuries and can be quite elaborate. Got to love the Brits for raising the bar on the highest international standard. Twenty four years ago, Peter Johns, a silversmith professor at Middlesex University, decided to do just that, by mixing germanium to the silver. Argentium is 96% silver, barely higher than Britannia silver, but more importantly, germanium thrives on oxygen so it migrates to the surface to chemically bond with it. The result is a protective coating that is highly tarnish resistant, thus requiring less maintenance than Sterling. In fact, when properly stored, it will remain tarnish free. For the silversmith, it means that there is very little firescale, a layer of oxides that forms on the surface of metal when a blacksmith heats a tool, which is challenging to remove and involves chemicals which can be toxic. I have had to use my share of unpleasant chemicals to remove firescale and have disposed of much silver in the soldering process. As a side note, I love languages, my husband is from Rome and I studied Italian at UCLA. In Italian, the word for silver is argento, which stems from the latin argentum. And so, I find it interesting that this British discovery is simply called “silver”! Stay tuned for my next post: “Searching for the Perfect Pearl."